When you start up your bike, you want to hear it growl; when you sit on your bike, you want to feel the power underneath you; and finally, when you push that baby into full gear, you want to hear it roar! At TAB Performance, we wanted to create high performance Harley ® exhaust pipes and systems that give you that roaring excitement every time. We’ve been Motorcycle owners for as long as we can remember. We got our start building our own aftermarket exhaust systems back in 2004 when we bought a V-ROD ® that had an exhaust that just didn’t live up to the hype. We went shopping for another option and just couldn’t find the perfect one that gave us the deep, throaty sound that we expect from a Harley ®. That’s when we decided to start building our own and from there we’ve grown and began offering some of the best motorcycle exhaust pipes and kits. 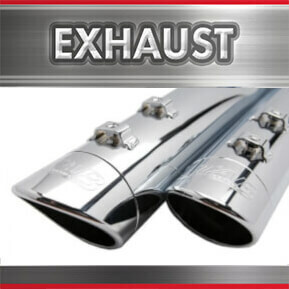 We have aftermarket Harley-Davidson ® exhaust and accessory parts online for all major H-D platforms including: V-ROD®, Touring, Sportster ®, Softail ®, Dyna ®, and Street ®, As well as aftermarket exhaust and accessories for the full line of Indian motorcycles including; Scout, Chief, Chieftain, Springfield, and Roadmaster. TAB Performance has what you need to ride every day and perform every second. Please feel free to contact us if you have any questions about our products! We would be happy to lend a hand. Make your HOG sound and perform like a Harley should with TAB Performance exhaust. 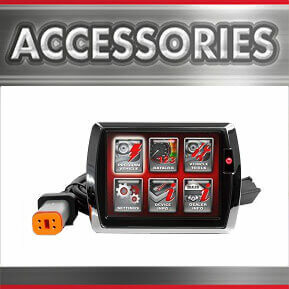 TAB Performance Accessories help you Ride Every Day, Perform Every Second! 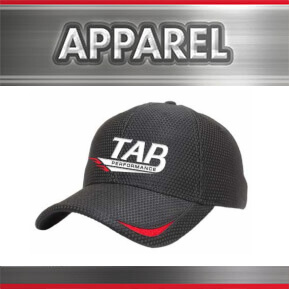 Look good while supporting the brand you love with TAB Performance apparel!